In just over three days time the highly anticipated Arduino day 2019, Arduino Day is a worldwide birthday celebration of Arduino and takes the form of a 24-hour event organised directly by the Arduino community and Arduino founders. In 2018, 529 events were held by members of the Arduino community spanning across the globe. Organisers have created a digital kit can receive once you have registered and been approved as an organiser up until March 15th, 2019. Once approved you will receive an email with a link to download your digital kit including Official Arduino Day posters, Event flyer, Official signage system, Graphic for pins and stickers and Vector logo. 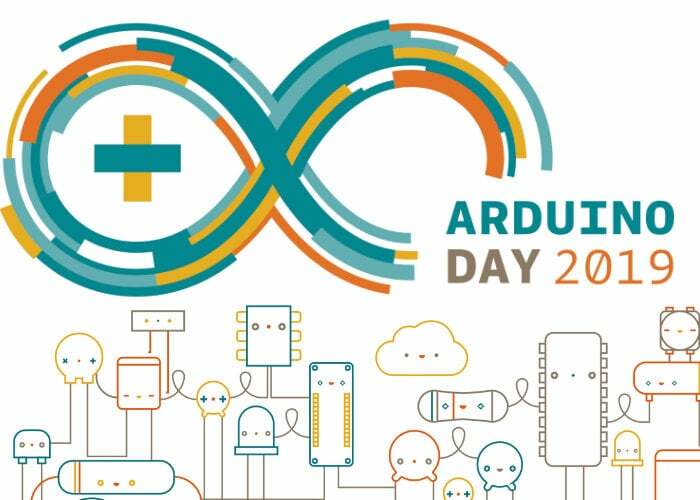 For more details about this year’s Arduino day 2019 taking place on March 16th 2018 jump over to the official Arduino Day website for full details.